If you are searching for a universal schedule for tax refunds, you will have to look beyond the IRS website for guidance. Fortunately, there are a variety of resources to help you get an idea of when your tax refund will be processed. The IRS processes a bulk of refunds owed to taxpayers in 21 days or less if the return is filed electronically, whether by yourself or a professional tax preparer. However, it can take up to four weeks if you file a paper tax return by mail. If there is a delay in the processing of your return, a refund will not be generated until the issue is resolved. You can check the status of your federal refund via the Where's My Refund tool or IRS2Go Mobile App, which is available on Apple, Android, and Amazon devices. However, an updated status will not appear until your return has been processed, which is typically 24 hours for returns submitted electronically and four weeks for returns submitted via mail. The time it takes to receive your refund will depend on how you file your return and if you select direct deposit or check. 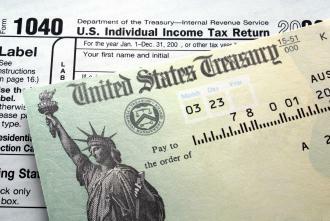 "Combining direct deposit with IRS e-File is the fastest way to receive your refund," according to the IRS. To choose direct deposit, simply select this option and enter both your routing and account numbers into your tax software when prompted. You can also elect to receive a paper check, but it will take a bit longer to receive. There is no fee to receive your refund via direct deposit or check. The following table gives you an idea of when you might expect your refund. You can call 1-800-829-1954 after 21 days to inquire about your refund if you filed electronically. If you submitted a paper return, you will have to wait six weeks to follow-up with the customer service department.